Trade shows happen all year long – there really is no respite for the weary, right? However, we know customers who feel the same way we do: we would have it no other way because it’s an exciting business to be in and so many great things can be accomplished when partnering together. Whether it is new technologies, social media methodologies or ways to enhance connection with prospects—there’s always exciting changes happening in this business. That’s why we started the trade show blog on myexhibiteam.com – to cover some of the hot topics that would be interesting and informative for trade show professionals. We hope it has been of value to you and your team. 2018 has been a great year – full of new opportunities, serving old customers time and time again while discovering some new companies along the way who could use our help. We are growing by leaps and bounds and have much success to be thankful for – so our appreciation goes out to all of our customers for an outstanding year. We are honored to be an integral part of your marketing team. It’s an exciting process to be helping customers discover who they are and hone in on their unique brand story. Everyone has a story to tell, and we take it upon ourselves to make sure that story is unique, true to the company’s roots, and compelling in a trade show environment. Serving as trusted advisors in this business is important to us and to our customers who rely on both our expertise and experience. That’s how they overcome challenges—which inevitably happen—and reap the rewards of a well-executed trade show exhibit. This excitement will subside for a few days in December, but gear up quickly in January but the planning never really does stop. 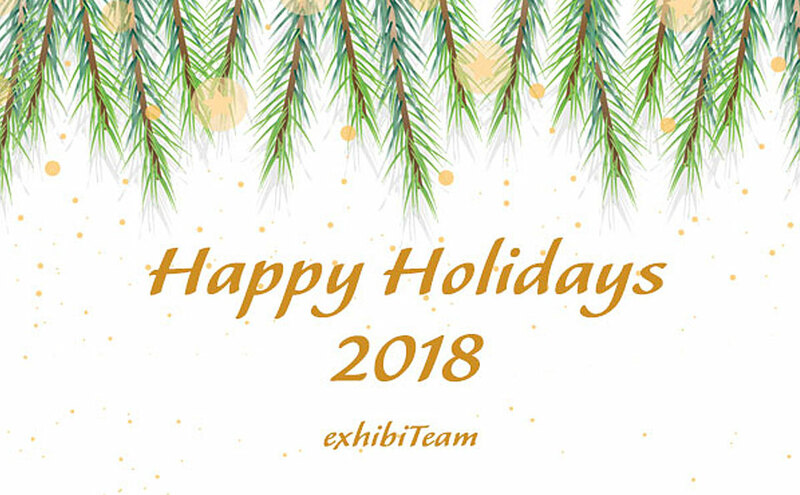 So, we are looking forward to closing 2018, even though there’s no holiday in the trade show biz.